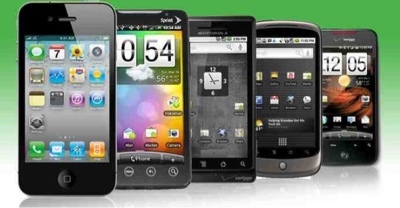 Could you live without your mobile phone....do you need it...Does it have to be a Smartphone or will anything do. my email (personal) and most importantly my camera for when I'm out with the family.... to catch those precious moments. I also tend to write or draft most of my blog posts via blogger app until I can get the opportunity to sit at the computer. OK I know it's a luxury as I have i phone 4s which I love.... and its on a monthly contract..... So due to the cost I would say its a luxury... But I don't think I could ever be phone free completely.. mainly because of emergency contact reasons, So even if I had to have a cheaper phone on a pay as you go contract.... I would want one for emergency reasons. As my life is quite hectic its a good way to have daily chats with my mother who I talk to on the way to work and to stay in touch with people I don't get to see very often....So having a phone gives me more communication options..whilst on the go. Should children have mobile phones!!!! Is your phone a necessity or a luxury!!!! My mobile is a necessity, but I could downgrade to a cheaper type of phone if needed, the fact that I have a smartphone is a luxury. There is no way I could live without my phone! I email on it, blog on it and tweet on it, however I don't think children need them until they spend time away from their parents and are actually old enough to understand what it is for.